hi, I was just surfing on this forum and I came across someone saying that lowes sell sarracenia rubra and sarracenia psittacina. can anyone confirm this? It's VERY intermittent, but yes... big box stores do get random Sarracenia sometimes. Even large Nepenthes like these from September sometimes. Yeah like he said it's very unreliable and subject to your specific store. 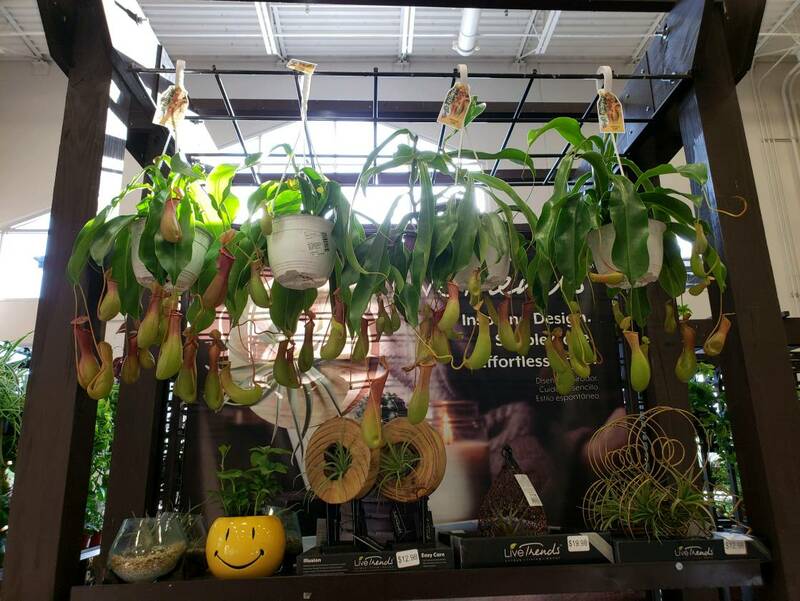 I've never seen a carnivorous plant of any kind at lowes, HD, ect. I'd honestly just look online first. VERY VERY Intermittent. 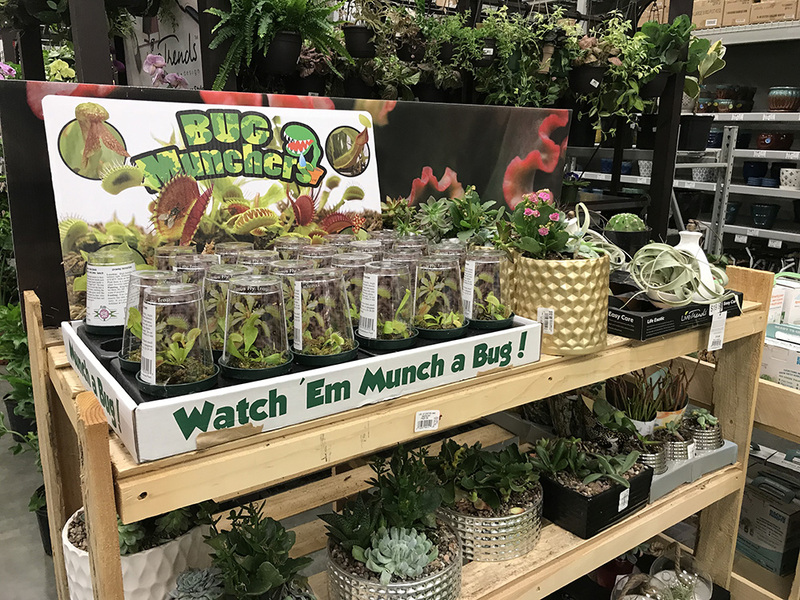 Here in Utah, it is mostly Venus flytraps, Nepenthes ventrata and Sarracenia purpurea. They come from Gubler's Orchids typically and I have found Drosera adelae, D. capensis, Nepenthes ventrata and Sarracenia purpurea there. Those little cups are available here for quite a bit of the year. But the large Sarrs, Darlingtonia, and Nepenthes are much harder to come across. Those Neps were sold within a few hours of being hung. Those Neps were sold within a few hours of being hung. Haha I can imagine! I would have had a hard time not buying several of them to try hanging around the place here! Well, I fear it probably didn't go well for them. I have no idea if they had roots or anything but I saw no activated nodes. I'm guessing they're the root side of the cutting and they're just hoping a node activates to form a new growth point? I had considered getting one since they looked so good, but when I saw that I changed my mind. By Ozzy in forum Identify That Plant! By thbjr in forum Identify That Plant!